Oh dear it was so pleasant when I didn’t have to wear hats! They will pauperize me + I still feel absurd in them! – Jackie Kennedy in a letter to Marita O’Connor, a saleswoman in the hat department at Bergdorf Goodman, written just before John Kennedy’s inauguration. 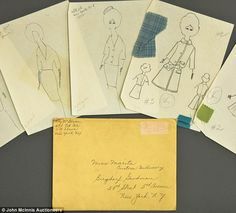 In November, 1960 Mrs. Kennedy wrote to Bergdorf’s announcing plans to purchase some of her clothing from the high-end New York City department store. From then on she wrote regularly ordering specially made dresses and accessories, including those pauperizing hats (many designed by Halston). 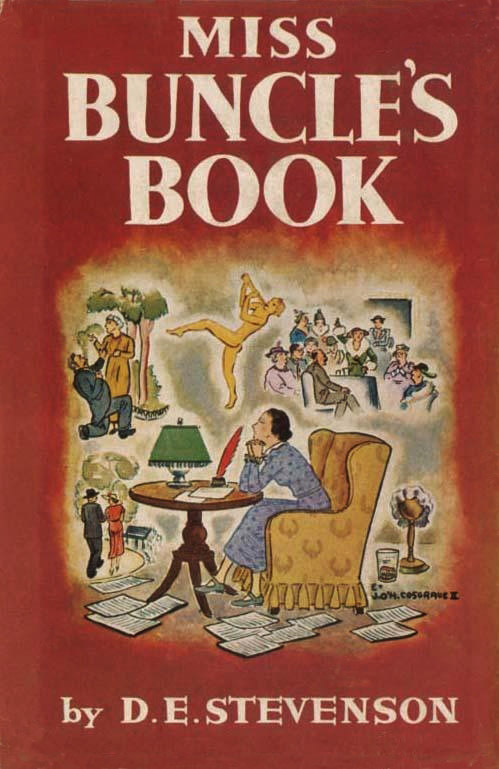 She often added sketches with her correspondence. 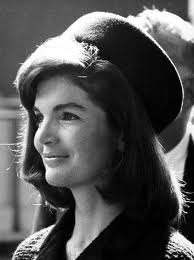 How interesting that the First Lady, the woman who made the pillbox hat fashionable, was not at all a hat gal. Perhaps she was uncomfortable because she sported a bouffant, not a hairdo friendly to hats. The pillbox style dates back to Roman times and was used as a military hat. Later the shape was popular with brides. Mrs. Kennedy wore hers large and at the back, allowing the fullness of her hair to remain. What do you think of Jackie in a hat? What an intriguing comment she makes – that hats “pauperize me.” Pauperize? Interesting word choice as the definition of pauper is one who is poor and dependant on public funds. Could she really have meant that hats made her look destitute? I surmise that the comment was really more classist. Given that at the time hats were an accessory all woman wore (and men come to think of it), perhaps what she meant was that for her, as the First Lady, to sport a hat would make her look common. A shocking thing to say today but when you consider the era and Mrs. Kennedy’s background as a debutant and a finishing school graduate, it fits. Afterall, one cannot be common and live in Camelot. Despite how she might have felt, hats were the done thing and evidently to not wear one would have been considered disrespectful. So, she obliged by having hers custom-made, often matching her coats. The collection of handwritten notes along with other Kennedy memorabilia were scheduled to be auctioned off November 22 to 24 in Amesbury, MA. That suit. The Chanel-style suit First Lady Jackie Kennedy wore on November 22, 1963 in Dallas. 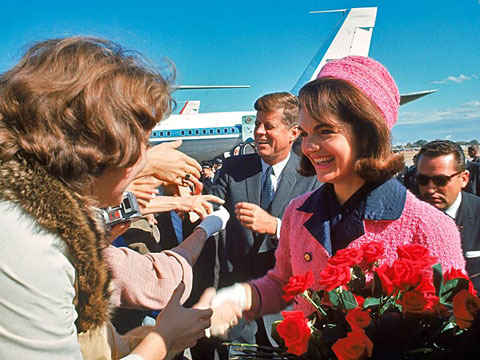 The pink suit, with navy blue lapels and a matching pillbox hat, she arrived in at the Dallas airport and greeted admirers while clutching red roses. The suit, which one Secret Service agent said looked fluorescent in the bright sun as she sat in the back of a dark blue limousine next to the president. The suit which now rests in the National Archives, stained now for 50 years with the blood of her husband and our president, John F. Kennedy. A weighty piece of clothing forever holding in its weave that momentous day. The suit was a Chanel copy made for Mrs. Kennedy by Chez Ninon, a NYC Park Avenue salon. A favorite of her husband’s, she’d worn it six times before. On that day she paired it with a navy blue blouse, shoes and handbag and white kid gloves – a classic look of the era. The matching hat and the gloves are missing, but the rest of the outfit are in the archives with instructions from the family not to be publicly shown until 2103. Jackie Kennedy refused to change out of that suit for the quick swearing-in of Lyndon B. Johnson saying, “I want them to see what they have done.” Nor would the suit ever be cleaned. The suit was put in a bag by her personal assistant and then in 1964 it arrived at the National Archives with a note from Mrs. Kennedy’s mother simply saying, Jackie’s suit and bag – worn November 22, 1963. The truth was she looked less peculiar in her everyday garments because they were tweeds and jerseys – you couldn’t go far wrong with tweeds and jerseys. On Sundays poor Barbara looked a perfect sight, her hat was frightful. I write about design as important as ecology because I don’t believe producing more ugly, boring clothing is a sustainable goal. – Sass Brown, author and acting assistant dean of the Fashion Institute of Technology. 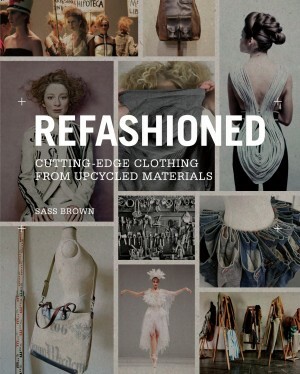 Ms. Brown has just published another book on sustainable fashion, Refashioned: Cutting-Edge Clothing from Upcycled Materials (Laurence Ling Publisher, 2013). I’m a big fan of aprons. I like the vintage quality to sporting an apron in the kitchen, I like the look of an apron, but most of all I appreciate the protection that an apron provides my clothes from flying bits of food. There is a very interesting exhibit all about our friend the apron called Shakers & Bakers at the Clayton Historical Society in Clayton. Coordinated by Clayton resident Mary Spryer, the exhibit includes aprons from her grandmother’s collection as well as collections from other Clayton Historical Society members. The aprons are nicely displayed on mannequins and hung around the Society’s museum, which is located in the old house belonging to Joel Clayton, the town’s founder. 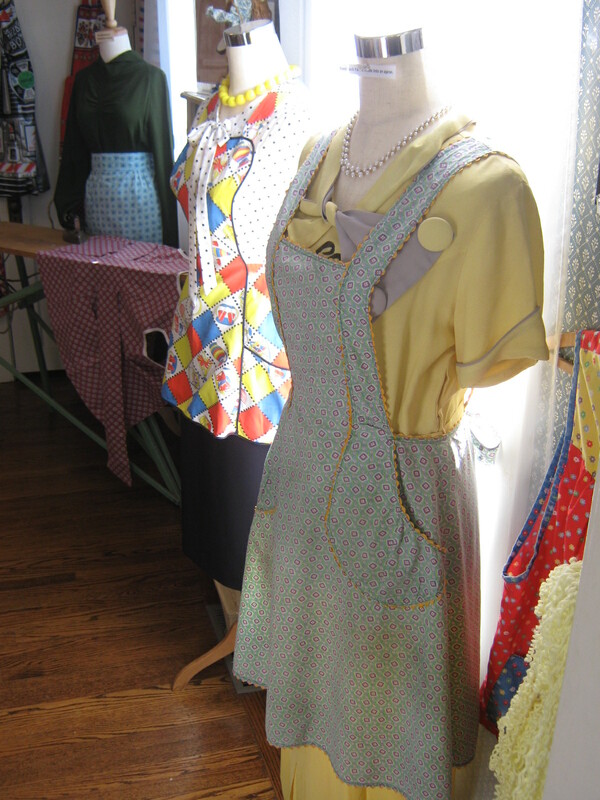 Examples of all the various apron styles from the Pinafore in the 1900s to the Cobbler of the 1960s are shown as well as men’s working aprons, apron patterns, and lots of photos. Many are handmade with sweet detailing proving that a lady likes to be chic even in the kitchen. Shakers and Bakers now through December 29, 2013, at the Clayton Historical Society, 6101 Main St., Clayton. Free, open Wednesdays & Sundays, 2-4. I love it when people can create their own look with my clothes and not just be an Isabel Marant robot. 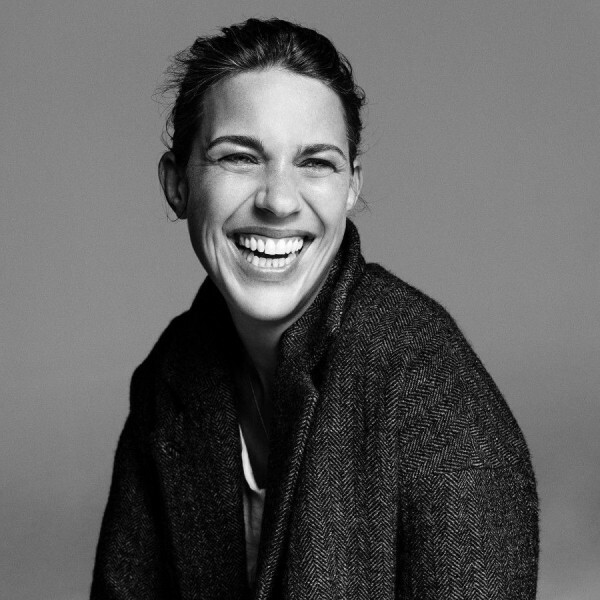 Isabel Marant, French fashion designer. Isabel Marant has designed a collection for the fast-fashion chain store H&M. The launch is scheduled for November 14th.